Snorkeling in the kelp forests of Santa Cruz Island, one sees sea lions playing, often with the diver, keeping an eye on him to be sure he is watching, creating a special ballet that loops and circles. 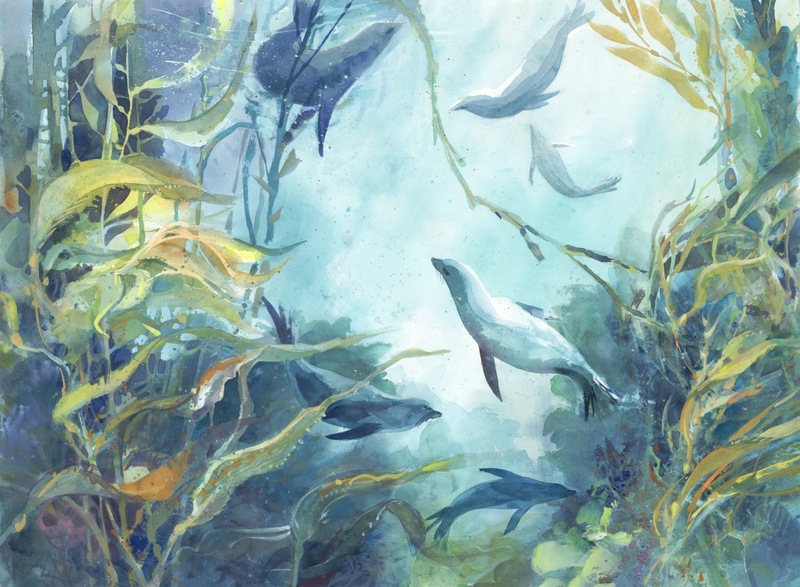 This painting required extra research about local reef dwellers, collecting kelp, and studying growth patterns. But the memory of the rhythm of it all is really the subject, all of us surging back and forth together.